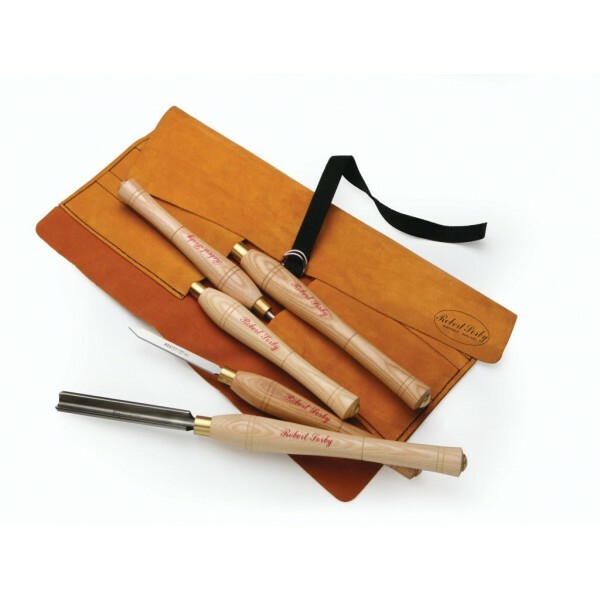 A five piece tool set with Robert Sorby branded leather tool roll, provides the turner with a ready to go first class set of tools and storage facility that will keep tools in top condition when travelling to club or chapter meetings. This set is the same as the 67HS but does not include the skew. 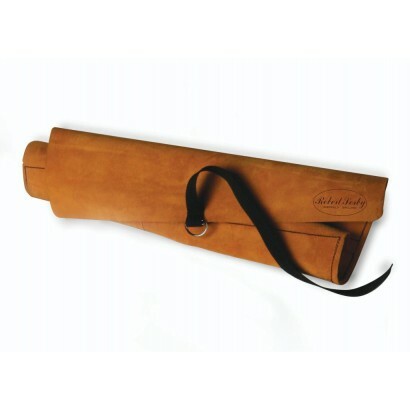 The leather tool roll offers six pockets so turners can choose their own sixth tool. Comes with tool storage and protection advice. The beautifully crafted, hand stitched leather tool roll has been made with the finest hide, nylon strap and D ring make securing tools quick and easy. Sourced locally from Sheffield.